As an automotive news journalist, I’m bombarded by morning emails. And like you, I delete many of them. Not today. Reviver Auto has caught my attention with the world’s first fully digitized license plate. We’ve all done the hours-long dance at the local D.M.V. : Registering vehicles, transferring titles, renewing registration, and at times, contemplating the purchase of a vanity license plate. In California, vanity plates generate $25,000,000 for the state -- yet, are limited in number, color, and the cryptic personal message displayed. San Francisco Bay Area headquartered Reviver Auto presents a digital license plate format for personalization and much more. 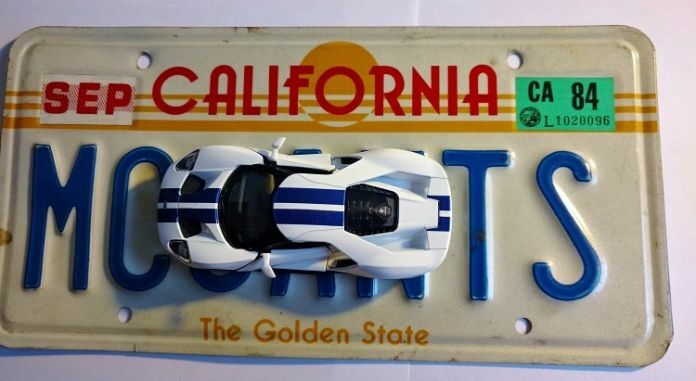 What would you do with your digital license plate? I think an elegantly framed 1 inch-thick digital license plate would look great on Civic Type-R.
As of this posting, a market price for the digital R-Plate Pro has not been published. However, according to the maker, 100,000 vehicles, primarily in California, are targetted for digital license plates in 2018. In addition, according to the maker, the digital R-Plate Pro is compliant and scheduled for application in Arizona, California, Florida, and Texas. Reviver Auto was founded in 2009 in Silicon Valley and continues development today in Foster City, California. This Lexus SUV flagship will look exceptional displaying digital plates. 9 years into the reinvention of the license plate: Next up for Reviver Auto is mass marketing. I find this product to be market viable, functional, and practical; not only in vanity-plate applications but time-saving smart-ap-tracked registration renewal and fleet-tracking. rPlate can also be used as a theft deterrent, digital bulletin board advertising, safety announcements, and more. Check out Reviver Auto’s proposed service plans. I do remain curious as to R-Plate Pro durability and will follow up for a Q&A with Reviver Auto soon. Watch the video below to learn more about rPlate. You can experience R-Plate Pro in person at the 2018 N.A.I.A.S. (Detroit Auto Show) on January 16.